Psst! You want to sneak a drink at an old-time speakeasy? One with a hidden location, a secret password, and a collection of taxidermied moose heads on the wall? Well, technically speaking, there are no speakeasies anymore because Prohibition ended more than 80 years ago. Yet there are plenty of great “speakeasies” in San Francisco these days, operating more as retro bar concepts in undercover or not-entirely-public locations. We can get you in all right, just keep these underground gin joints on the hush-hush. 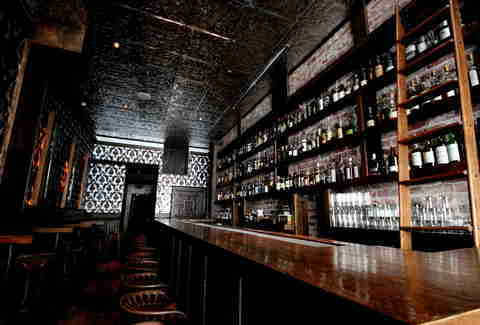 Your speakeasiest speakeasy experience possible is The Speakeasy. It’s not simply a bar to hang out in but a three-and-a-half hour, 35-character interactive “choose your own adventure” theater experience that faithfully emulates a Prohibition-era speakeasy visit. 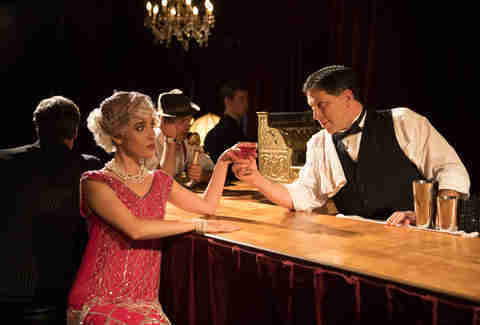 You can drink with flappers and gamble with corrupt politicians in a genuinely immersive 1920s speakeasy experience. For a price, you can even buy the role of the mayor of San Francisco (we know you’ve been practicing for years). How to get in: You buy tickets. It’s a show. But it’s at a secret location and you do get a secret password. Previews continue through November with a press opening in December and a full run happening thereafter. An exquisite, genuine speakeasy awaits you at Marianne’s, secretly tucked into the back of swanky Downtown bar The Cavalier. Hidden in the a corner of the restaurant, just past the shelves of taxidermied animals, is a speakeasy scene that feels straight out of the 1930s -- except for all of the Rolling Stones memorabilia on the walls. That’s because the place is named for Mick Jagger’s longtime lover Marianne Faithfull, but otherwise Marianne’s faithfully recreates a vintage speakeasy vibe. 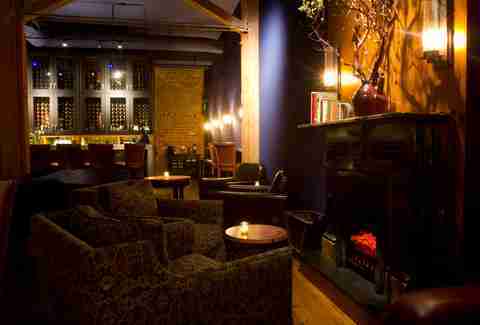 How to get in: Reservations or an advance call are recommended, as Marianne’s is sometimes booked for private events. It is otherwise newly open to the public most evenings. 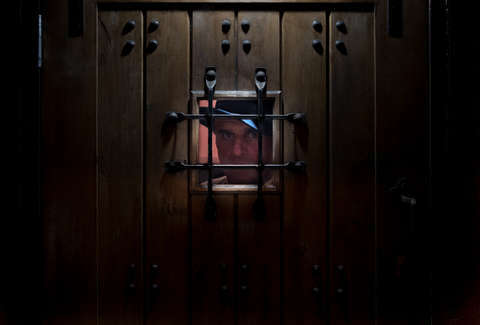 A true Beefeater-on-the-rocks style speakeasy, the Wilson and Wilson Detective Agency takes a little sleuthing work to find. Its companion bar Bourbon & Branch stealthily has no signage, though the Wilson and Wilson bar does have a sign (which describes the location as a detective agency). You have to enter Wilson and Wilson through an actual bookshelf trap door, but once inside you’ll find fantastic craft cocktails in antique glassware, as well as the finest vintage bathrooms San Francisco has to offer. How to get in: Make reservations and try to keep your cool as you stealthily slide past the bookshelf. 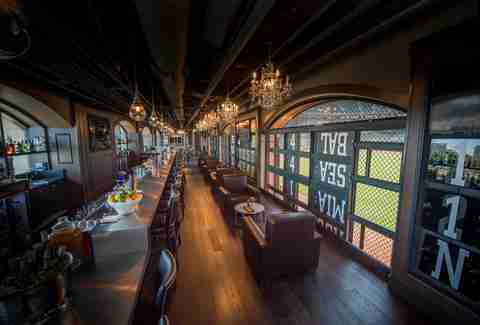 Behind the scoreboard at AT&T Park sits one of the most secretive and classiest speakeasy-style establishments in town. The Gotham Club is a members-only club dedicated to the history of the San Francisco Giants (formerly the New York Giants, formerly the New York Gothams). You could get swept away by all of the vintage baseball memorabilia at the Gotham Club, but you’re more likely to get swept away by cocktails with baseball-shaped ice cubes, free hors d’oeuvres, and the full-size, built-in bowling alley. How to get in: Know a wealthy San Francisco Giants fan, or start networking and find one. This is a members-only club, though you can attend as a member’s guest. 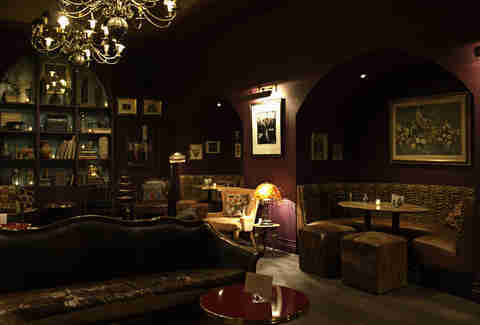 The cure for what ails you is Remedie, located in the downstairs of the upscale North Beach bar Devil’s Acre. Remedie serves up a Barbary Coast-era doctor’s office theme, and the cocktails are prepared as throwback tonics and tinctures. But note that Remedie is only open on Friday and Saturday evenings. How to get in: Merely show up at Devil’s Acre on a Friday or Saturday night and head downstairs, though you may want to check in advance whether the space has been reserved for a private event. This cozy, romantic bar tucked away in a FiDi alley serves wine by the glass, flights, comparisons, and offers more than 800 bottles. If you tire of lounging by the fireplace on a chilly San Francisco eve, move outside for a game of bocce. It’s important to note that there’s a $100 food and drink minimum to book the bocce court for an hour, so bring some thirsty friends. How to get in: The Hidden Vine isn’t as much a speakeasy as it is an out-of-the-way locale for libations. Head for the Transamerica Pyramid and keep your eye out for a small alley. Hideout is the easiest of these speakeasies to find, considering that its entrance is plainly labeled and anyone can just walk right in. But true to its name, Hideout is somewhat hidden -- in the way back of Mission District cocktail den Dalva, past the washrooms in an area that is not at all well-lit. It’s worth poking around for, though, because the somewhat dive-y Dalva dazzlingly transforms into the more opulent decor of Hideout. There is fairly limited seating at Hideout, and it’s available on a first-come, first-serve basis. How to get in: You look for the sign in the back of Dalva and you head right in, though be aware Hideout does not open until 7pm. Joe Kukura is a freelance writer who likes phosphates and phonographs before a trip to the phrenologist. He says complete applesauce on Twitter at @ExercisingDrunk.